Rio Tinto’s (ASX, LON, NYSE:RIO) underground expansion of the massive Oyu Tolgoi copper-gold mine is set to face further setbacks as a deadline to secure project finance may be missed, said Wednesday Vancouver-based Turquoise Hill (NYSE:TRQ), which operates the Mongolian open-pit mine. Delivering its first-quarter results, Turquoise Hill added that technical problems have hit output at the mine, which will likely affect full-year production. It also said that ongoing “shareholder issues” might not be resolved until a feasibility study for the $6.6 billion mine’s growth is completed, which is expected at some point before July this year. The news would put Rio at risk of missing a March 31 deadline to close project finance agreements with commercial banks as well as with two multilateral development banks. The massive mine, which began operating last year, is said to be the largest single investment in the history of Mongolia, according to the project’s website. Turquoise Hill, which holds a 66% interest in the mine needs to be able to cover the project’s cash requirements until Sept. 1, 2016. As of the end of 2013 Oyu Tolgoi had $6.8 billion in loans. 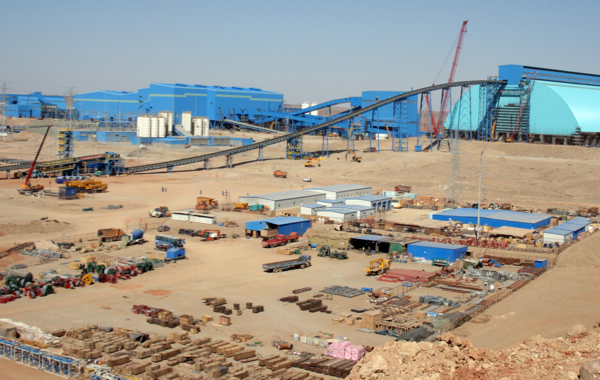 “In this event, the shareholders will consider requesting an extension of the commitments from the project finance lenders and finalization of the Oyu Tolgoi project financing may be deferred to the second half of 2014,” Turquoise Hill said. Investors reacted to the operational update. The company’s shares were down almost 5% at midday in Toronto. The mine is now expected to produce between 135,000 and 160,000 tonnes of copper in concentrates this year, down from its previous target of 150,000 to 175,000 tonnes. After the expansion, the mine in the southern Gobi desert close to the Chinese border could produce more than 1.2 billion pounds of copper worth $4 billion at today's prices, 650,000 ounces of gold ($800 million) and 3 million ounces of silver ($55 million) each year.